J Michael Gallery Jigsaw Puzzle iPhone App Review: Cool Photo, Bro! 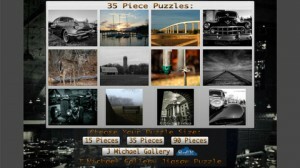 J Michael Gallery Jigsaw Puzzle is an iPhone app developed by Jeremy Mitchell. 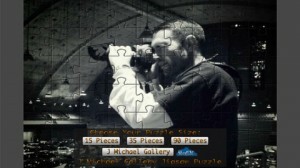 Mitchell is a brand new talent on the developer scene, and his jigsaw puzzle app is a brand new addition to the App Store. 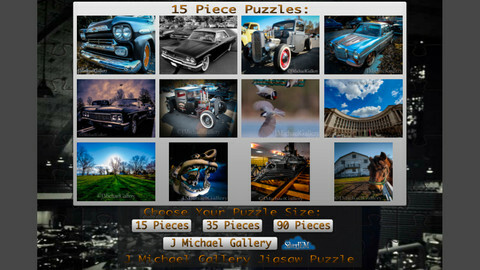 In J Michael Gallery Jigsaw Puzzle, users are presented with a total of 36 puzzles and 3 different puzzle sizes. There is also a thumbnail option, and a results window which opens upon the completion of a puzzle. The maximum size of the puzzles in the app is 90 pieces, and those sized puzzles take about 10 to 15 minutes each to complete. This app is simple to use, with straightforward controls that make navigation easy as pie. These gorgeous puzzles are the perfect way to pass time in an airport or while sitting around on a cold, rainy day. And unlike real puzzles, these digital photographic puzzles don’t have any pieces that can go missing or get lost during a bumpy car ride! All of these gorgeous digital photos are family-friendly, so this would be a good app to share with kids to keep them quiet on a long car trip, or while waiting in the doctor’s office. The photographic subjects are also of interest to adults, and include things like stunning vistas and classic cars. The “no gimmicks, no advertisements, no in-app purchases” attitude of J Michael Gallery Jigsaw Puzzle offers a rich, rewarding experience for users. If you love great photography, or just need a simple way to pass the time while you wait for your stop on the subway, this new app is well worth your attention. For a low price, it offers a good return on investment. 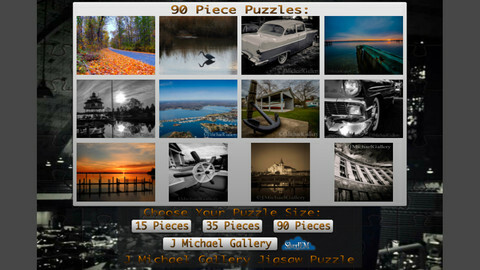 J Michael Gallery Jigsaw Puzzleis compatible with iPhone 3GS, iPhone 4, iPhone 4S, iPhone 5, iPod touch (3rd generation), iPod touch (4th generation), iPod touch (5th generation) and iPad. Requires iOS 6.0 or later. This app is optimized for iPhone 5.